Ultra fast, ultra small and ultra powerful. 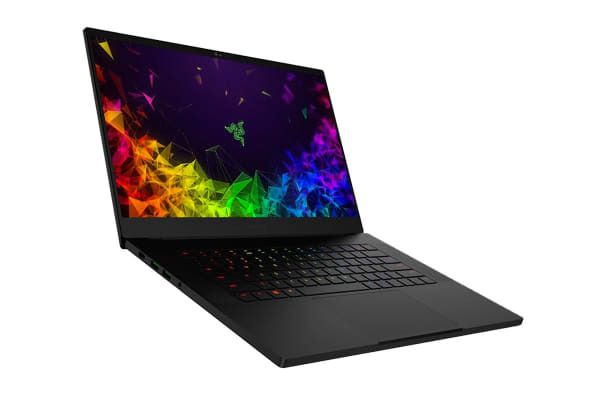 The Razer Blade Advanced 15.6” Gaming Laptop has the smallest footprint of any 15.6” gaming laptop while also being one of the thinnest in its class. Get more out of your viewing experience with minimal bezel distraction and colour-accurate individually calibrated displays. Enjoy immersion like never before on an expansive 15.6” screen consuming nearly 85% of the visible display area, flanked by class-leading 4.9mm thin bezels. With a Full HD, 1920 × 1080 display and refresh rates of 144Hz, on-screen action is incredibly smooth and fluid. With 100% sRGB support, colours are always accurately reproduced. 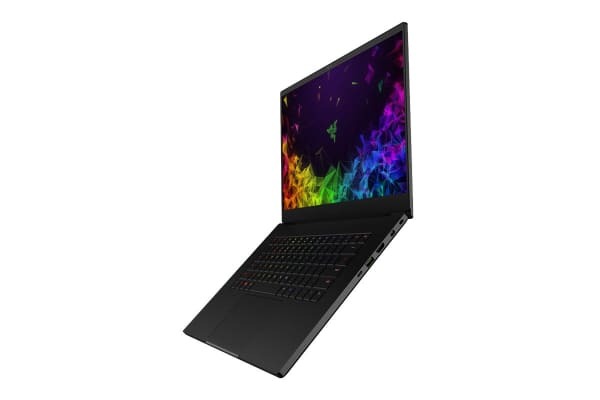 This gaming laptop is powered by an 8th Gen Intel Core i7-8750H processor and with the new NVIDIA GeForce RTX2070 graphics with Max-Q design. Experience real-time ray tracing, artificial intelligence and programmable shading with the Turing based GeForce RTX graphics. Connect a Razer Core X via Thunderbolt 3 and get more frames per second in games with a higher power desktop graphics card. You can also combine the power of the built-in NVIDIA GeForce RTX2070 graphics with a second GPU to decrease render times in supported creative apps. This gaming laptop utilises a custom vapour chamber and cutting-edge thermal materials to efficiently and quietly dissipate heat for maximum performance and user comfort. A large, clickable glass touchpad with Microsoft Precision Touchpad support means smooth and precise control, including a range of gestures for expanded navigation. Directly connect up to three external displays for an expansive workspace through Thunderbolt 3, Mini DisplayPort and HDMI. Connect a wide range of devices to the Razer Blade to get more out of your experience. Output up to 3 external displays and plug in mice, keyboards and headsets via USB 3.1 ports. 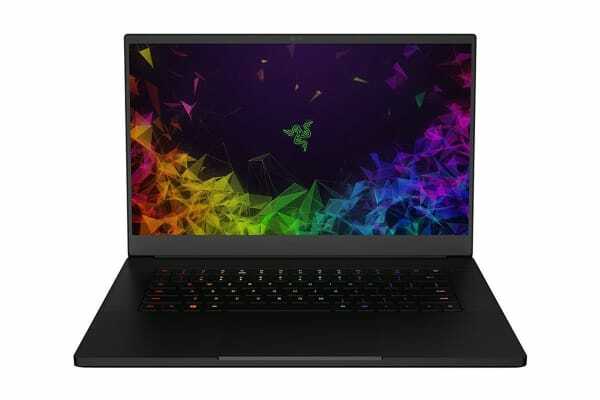 This gaming laptop is equipped with per-key lighting powered by Razer Chroma. Each key can be individually assigned a colour, allowing for maximum customisation and effect options. Take full control with the new Razer Synapse 3, from customising lighting, managing profiles, adjusting fans and even stepping up graphics performance in Gaming Mode. PC gaming is better and more social than ever on Windows 10, Game Mode, game broadcasting and more. And with Xbox Play Anywhere, you can play in more places on Windows 10 PCs and Xbox One. The Razer Blade is free of bloatware, so you get a clean install with only critical software for maximum resources and storage space right out of the box.